For Christmas this year, Pokémon GO is giving all trainers with an Apple Watch the perfect Christmas present. Pokémon GO is finally, and we repeat, finally available on the Apple Watch! For all the Singaporeans in the pursuit of catching them all, this news is nothing short of a Christmas miracle. The presentation has left many psyched, and players all around the world, including Singaporeans, are rapidly jumping onto the latest bandwagon. Players are still required to have their phones with them but with the Apple Watch, they’ll be able to log play sessions as workouts that add towards their personal Activity rings. A bonus that arises from this is that players will also be to measure the distance towards hatching their Eggs. Players will also be alerted about nearby Pokémon, PokéStops, and collect items from them; as well as when their Eggs hatch and medals are awarded. 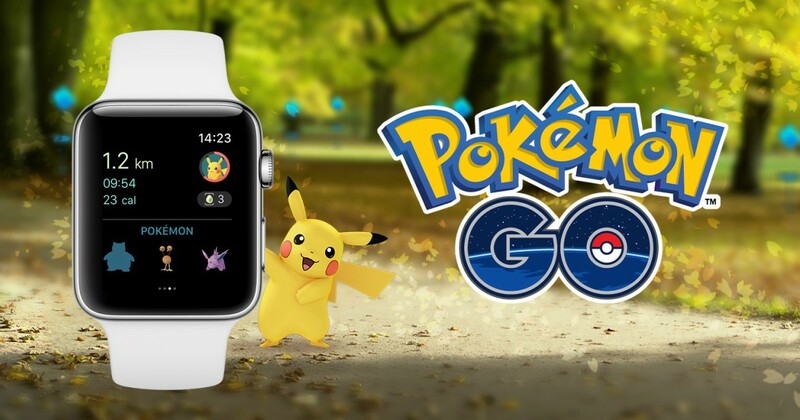 Considering that it was only introduced yesterday, there were some who still expressed confusion on how Pokémon GO would work on the Apple Watch. And from there, one particular user has stood out as everyone’s new guru. 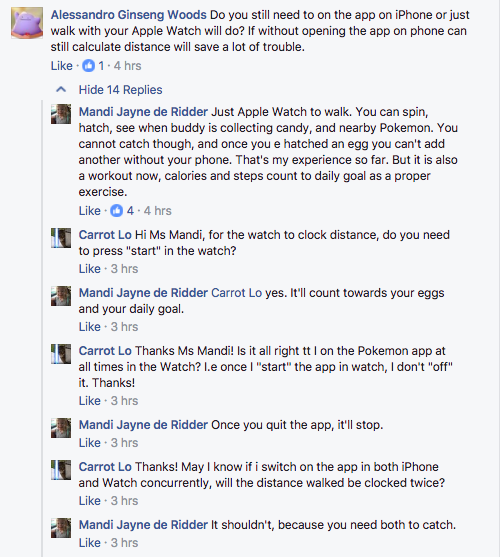 PokeGO player Mandi Jayne is certainly one enthusiastically helpful player. However, there were some reviews stating that the Pokémon GO update for the Apple Watch indirectly caused them issues in opening the game on their iPhones and Android models. One drawback of the Apple Watch feature is that players will not be able to catch Pokémon via the Watch, and will have to switch to their iPhones for that. 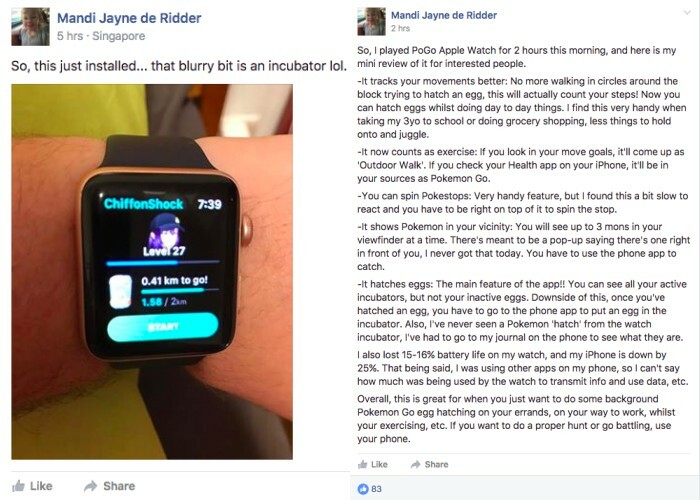 Other than that however, it seems like the Apple Watch adaptation of the game is a win for players who want to focus on hatching eggs. Is It A Groundbreaking Addition? Given the limited perks so far, we don’t think so. But if you already have an Apple Watch, it seems to be a useful complement to enhance gameplay while clocking a good workout at the same time. 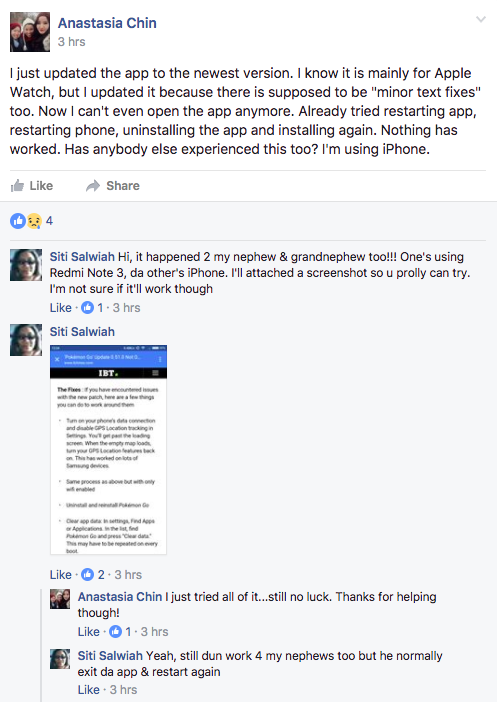 Hopefully, Niantic and Apple would be able to address some of the glitches to ensure smoother gameplay soon. There were bound to be problems given the newness of the feature, so hang in there trainers.